Ric Cabot President and CEO of Cabot Hosiery Mills INC. came up with the idea for Darn Tough Vermont socks with his father after their business started slowing down as more companies looked to have their socks manufactured abroad. 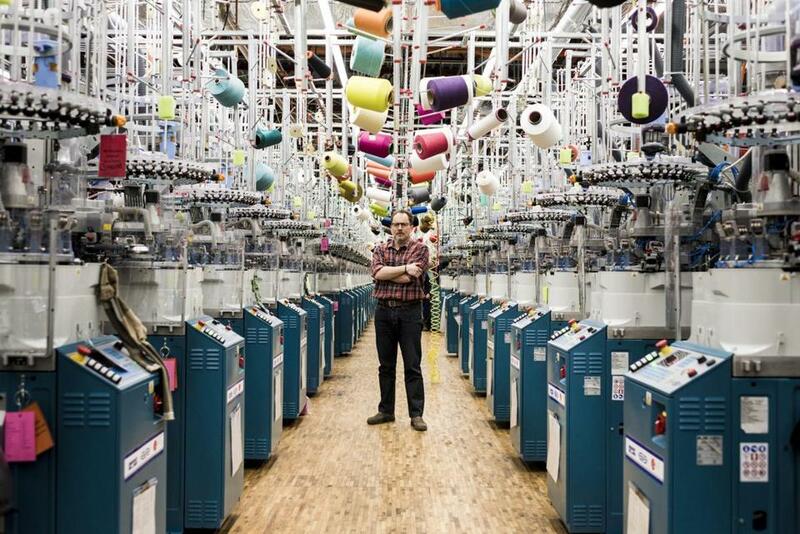 A century after the collapse of New England’s textile industry, this factory in the Green Mountain foothills outside Montpelier has become one of US manufacturing’s rare success stories. 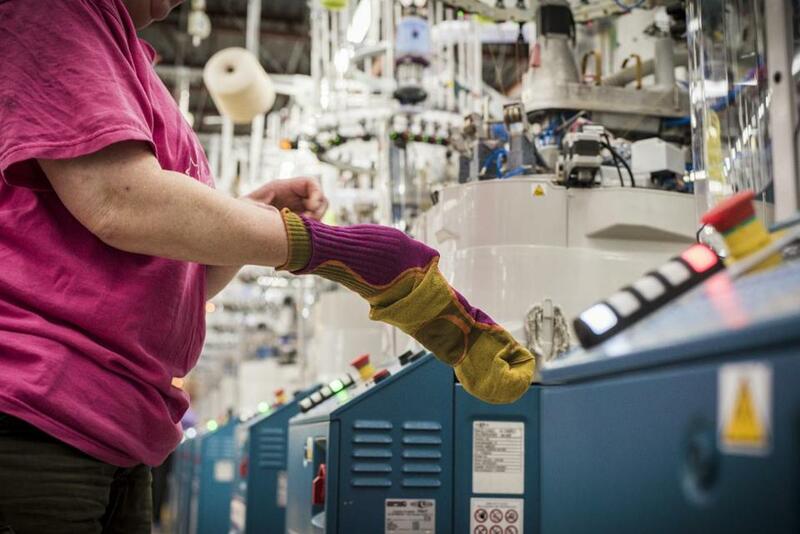 Cabot Hosiery Mills is growing rapidly, buoyed by lucrative military contracts and surging demand for its Darn Tough Vermont line of outdoor sports socks. It’s a remarkable turnaround for the third-generation family company, which teetered on the brink of insolvency 12 years ago. For 25 years after its founding by Cabot’s father, Marc, in 1978, Cabot Hosiery Mills anonymously manufactured “private label” socks for the Gap and other retail chains that would resell them under various store brands. But that business evaporated in the 1990s when the stores shifted production overseas to save money. Cabot, now the company’s president and chief executive, and his father, the boss at the time, laid off 40 workers. Knitter Chris Southworth inspected a freshly made Darn Tough Vermont sock. In this environment, Cabot reasoned, his company could only stand out by making a higher-quality sock. But that meant Cabot Hosiery Mills would need to come up with its own brand and sell directly to consumers, something with which it had little experience. Darn Tough Vermont debuted in 2004, when Cabot gave away 3,500 merino wool socks at the Vermont City Marathon in Burlington. The socks themselves featured an unusually dense weave that made them stronger and more comfortable, while the wool resisted odor. The name was intended to describe the resilience of both the socks and the company, with Vermont thrown in to evoke the state’s artisan, outdoorsy image. The launch was a Hail Mary. The company by then was months behind on its utility and property tax bills. Cabot took out a second mortgage on his house, begged his bank for one last loan, and pleaded with his remaining employees to stay. The company did almost no marketing, instead giving away socks and hoping the product spoke for itself. But it was the right idea at the right time. Consumer demand for authentic-seeming, locally made products with a compelling origin story was growing in parallel with the organic food craze, and the durable socks from a group of flannel-clad Vermonters proved an immediate hit in the outdoor sports community. Distribution deals with REI, LL Bean, and other specialty retailers followed, and sales soared. Meanwhile, with other US sock factories shuttered by outsourcing, a federal law requiring the military to buy domestically produced gear whenever possible helped Cabot Hosiery Mills score several multimillion-dollar contracts to provide Army soldiers with socks. The company has since accumulated an unusually devoted base of customers with one thing in common: They spend a lot of time on their feet. A bulletin board outside the doors to the factory floor is covered with printouts of effusive and comically overwrought e-mails from farmers, soldiers, long-distance hikers, and electric linemen describing the socks’ resilience in the face of extreme abuse. BillieJo Gilmore worked fitting knit and washed Darn Tough Vermont socks onto forms so they could be steam pressed ahead of packaging. 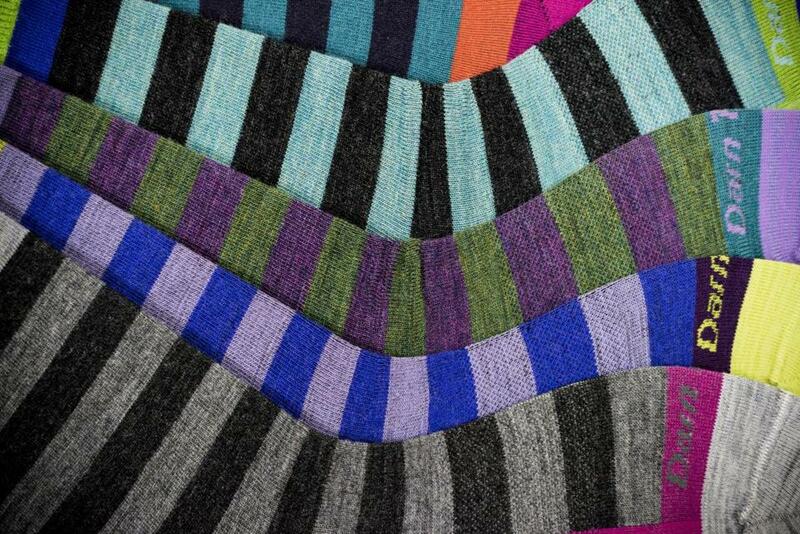 Like LL Bean products, Darn Tough socks cost more — around $20 a pair — but come with an unconditional lifetime guarantee. Customers delight in returning socks that have been eaten by their dogs or cut off by paramedics after an accident, and the company accepts them all. Now the company is gearing up for more growth, planning a new factory building on its Northfield property, formalizing its marketing strategy, and buying more of the $40,000, 168-needle Italian knitting machines that make its socks. The lot outside was built to hold a few dozen cars. Now, 217 employees (and counting) park haphazardly in a muddy field along the rough road leading to the plant. Cabot said the company is nearly halfway to its long-term goal of $100 million in annual revenue. There’s even talk of expanding its lifestyle line to reach new customers (and retailers) outside its core customer base of outdoor enthusiasts. The jobs are a godsend for Northfield, which has struggled economically. Flooding from Tropical Storm Irene in 2011 drove Wall Goldfinger, a high-end furniture manufacturer, out of town. Northfield Savings Bank, despite being named after the town, moved its corporate headquarters to nearby Berlin last year, taking 55 to 60 jobs with it. Cabot is now the biggest employer in town after Norwich University, a private military college. Cabot now feels a responsibility to the town. Correction: An earlier version of this story misidentified the founder of Cabot Hosiery Mills. It was founded by Ric Cabot’s father, Marc.